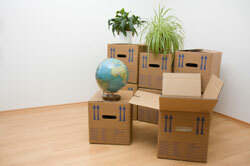 Are you searching for moving companies that you can trust with your upcoming relocation? If you live in the Braselton, Georgia, area, the choice is simple: Bulldog Movers. We have been serving Georgia residents for more than three decades and have earned numerous accolades over the years, including an A+ rating with the Better Business Bureau and the coveted Consumers’ Choice Award for nine consecutive years. We understand that relocating can be a taxing process, but when you turn to Bulldog, you can rest assured that we will handle your move efficiently so that you be less stressed and more excited about the next phase of your life. For more information on how we differentiate ourselves from other moving companies in Braselton, GA, contact our friendly moving experts at Bulldog Movers today.